Dimensions 115 x 117 x 49mm. This amplifier supports DSD 2.8/5.6MHz, PCM 384kHz/32bit and DSD native or DoP playback. Also supports Apple and Android devices, drives headphones in the range of 16 – 600ohm. 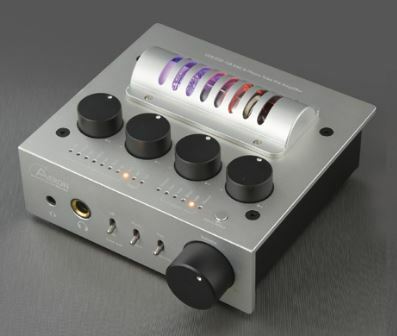 It also features a SABRE9018Q2C DAC and 12AU7 tube.